CaloriesMinute can be used in a very efficient way by learning some basic « gestures », described in the following section. Open the button collection “Lunch Time” and select your meal. Touch to “open” one of the database item, and choose a quantity with the slider. When several items are selected, the title bar contains the sum of all items! Check at a glance your selection by touching the “Selected” tab: all the selected items are lumped in a small list. To deselect one item, set the slide to zero and touch the “Selected” tab one more time. All your items are correctly selected? 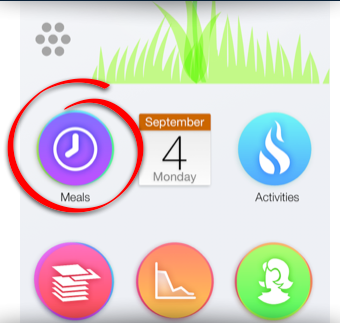 Just come back to the main screen to store your meal!